Pricing for a single sided printed lanyard on 1.5 or 2 centimeter smooth polyester ribbon with a metal trigger clip and single safety break. All Prices exclude VAT and Postage. 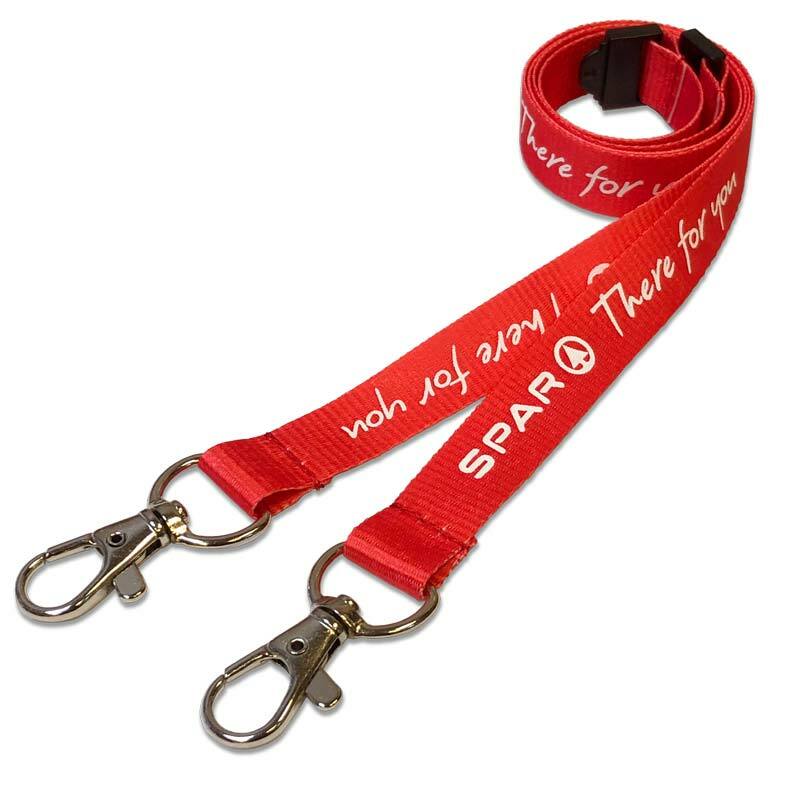 A full colour lanyard features a silky smooth polyester ribbon printed with your logo or chosen design. 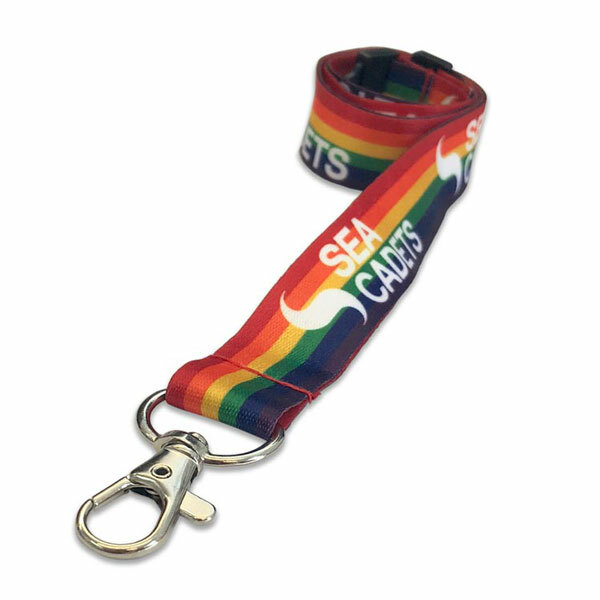 Full colour lanyards have a high quality look and feel as the printing method allows designs with colour gradients or even full colour photos to be reproduced. Please note that some colour bleed is possible with this printing process which may affect the appearance of fine detail or delicate text in your design. Pricing for a single sided printed lanyard on 1.5 or 2 centimeter smooth polyester ribbon with a metal trigger clip and single safety break.